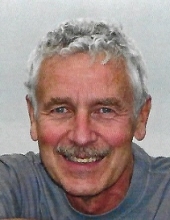 John J. Worthington, age 70, of Denver CO, passed away on February 3, 2019 from the effects of dementia. John was born in Philadelphia, was raised in New Jersey, and spent two years in Stockholm, Sweden as a young teenager. He was graduated from Cherry Hills High School (NJ) and Gettysburg College, where he was a member of Phi Delta Theta Fraternity and part of the ROTC program. Directly after college, John joined the US Air Force as a pilot of C-130 cargo planes. He was a Vietnam Era Veteran, stationed at CCK Airbase in Taiwan during the last years of the Vietnam War. Finding peace time less exciting for a pilot, John left the Air Force as a captain in 1976, although he flew for the Civil Air Patrol in Albany, NY and Denver, CO.
John’s career was spent in sales, marketing, and general manager roles of several global manufacturing businesses, including WR Grace, FiberMark, Lydall, and Johns Manville. These positions moved him over the years to Atlanta, Boston, Philadelphia, Albany, NY and Denver, CO. John was active in trade associations and served on the board of directors of Lydall. He traveled extensively overseas. At his core, John was a pilot and logged over 4,200 total flying hours. He kept his private pilot’s license active from the age of 16. John flew for sky jumping clubs in PA, had his gliders license, owned a Stearman bi-plane when he lived in TX and a Cessna 182 while he lived in Albany, NY with his wife, Elizabeth. John traded the wings for a motorcycle when they moved to Colorado, and he enjoyed riding through the mountains and taking long distance motorcycle trips with friends. John and Elizabeth enjoyed golfing, hiking, and skiing together. John’s other interests included reading, rowing, and bicycling – often biking 100 miles per week. John helped lead fair trade missions at St. Edwards the Confessor Church in Clifton Park, NY. John and Elizabeth were married for 21 years and enjoyed traveling and entertaining. They were always planning their next trip. Their last big adventure was spending three weeks in New Zealand. John was the oldest child of John J. Worthington, Jr. and Dorothy Worthington, who both predeceased him. He is survived by a son, Adam J. Worthington, of Seattle, WA, two brothers, James (and Dan) Worthington of Baltimore, MD, Mark Worthington of Boston, MA, a sister Jane (and Dan) Senico of Cape May, NJ, and his siblings’ children and grandchildren. John is also survived by his mother-in-law Judith Lonergan of Concord, NH, sister-in-law Ellen Farrey Barnes of Raleigh, NC, and her daughter Adelaide Barnes. John had a number of life-long and long-term friends that he valued very much. The world lost the life of the party when John was diagnosed with early-onset dementia. He lived for the past two years in the memory care unit of Balfour Senior Living at Riverfront Park, in Denver, CO. Elizabeth and John’s families acknowledge and are grateful for the care and attention provided to John. Shane Christian was with John as a care partner from the beginning of his journey at Balfour and provided unwavering and loving care, friendship, and support. Funeral services will take place on Saturday, February 16th at 10:00 a.m. at Christ Our Light Catholic Church in Cherry Hill, NJ with the support of Schetter Funeral Home, 304 West Marlton Pike, Cherry Hill. In lieu of flowers, donations may be made to the Air Care Alliance (www.aircarealliance.org) or to your local hospice. To send flowers or a remembrance gift to the family of John J. Worthington, please visit our Tribute Store. "Email Address" would like to share the life celebration of John J. Worthington. Click on the "link" to go to share a favorite memory or leave a condolence message for the family.